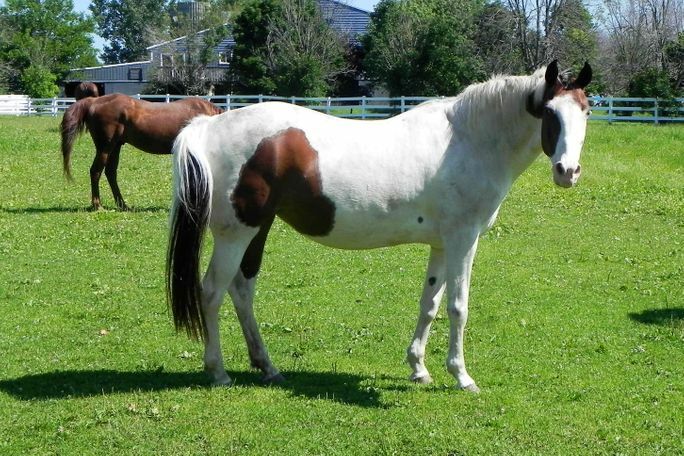 Cherokee is a very sweet tri-color Paint mare that came to HAHS emaciated and suffering from heaves. She has been battling pneumonia, but is a survivor at heart. Cherokee is rehabilitating well and will deserve a great forever home once she has reached her goal weight. If you are interested in giving this deserving horse a loving home please contact the HAHS office. Adoption fees do apply.